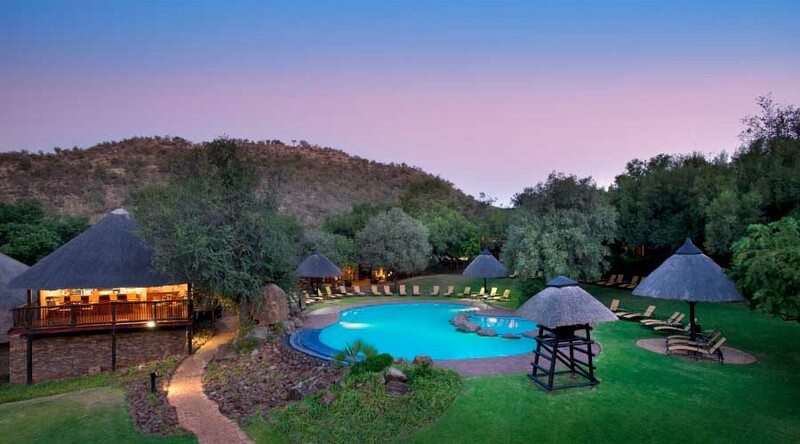 Tucked in the expanses of the malaria-free Pilanesberg National Park, Bakubung, or the Place of the Hippo, provides guests with the peace and tranquility of a true bush experience coupled with the luxury and service you’ve come to expect from a Legacy bush lodge. 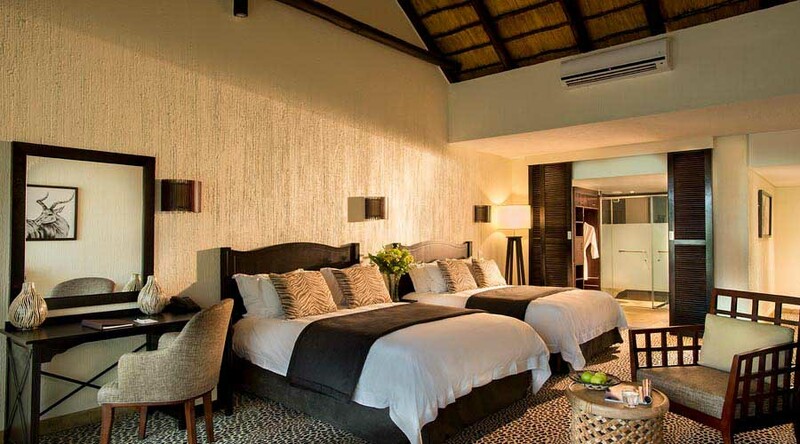 Our 76 air-conditioned, thatched roof, studio rooms and 66 chalets curve into a horse-shoe around the outside entertainment areas, huddling visitors in cosy intimacy. 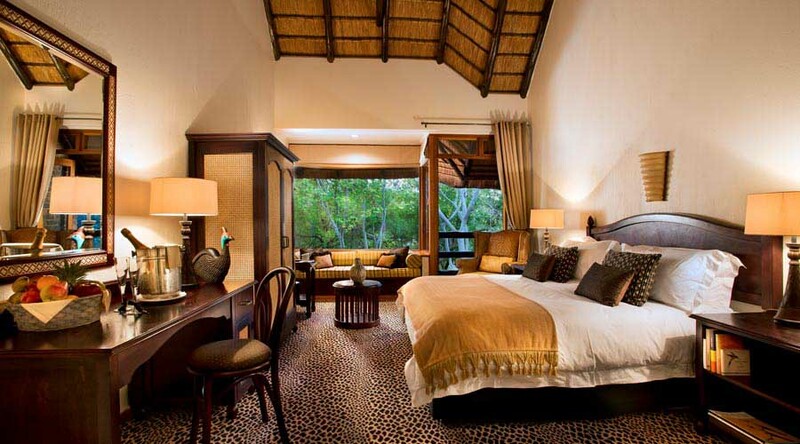 Dinner, Bed & Breakfast : Inclusive of Dinner, Breakfast, one game drive per adult per day, limited Internet Access. This rate excludes 1% Tourism Levy. 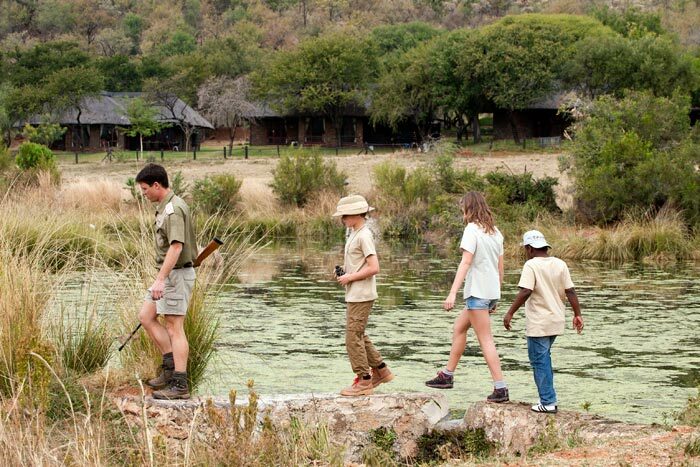 Experience the Big 5 with our trained field guides who will also show you some of Africa's beautiful fauna and flora. Visit us outside the wildlife centre on Wednesdays and Saturdays for a live snake demonstration by one of our experienced field guides. Bookings are essential and can be made at the Wildlife Centre. 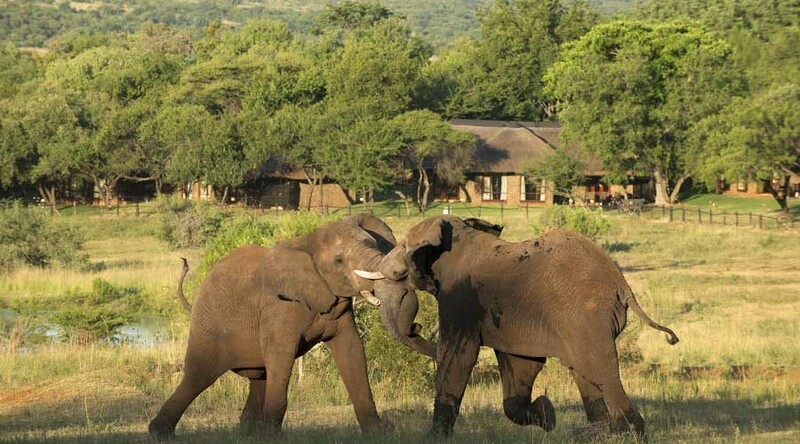 The lodge itself plays centre stage for incredible wildlife sightings. 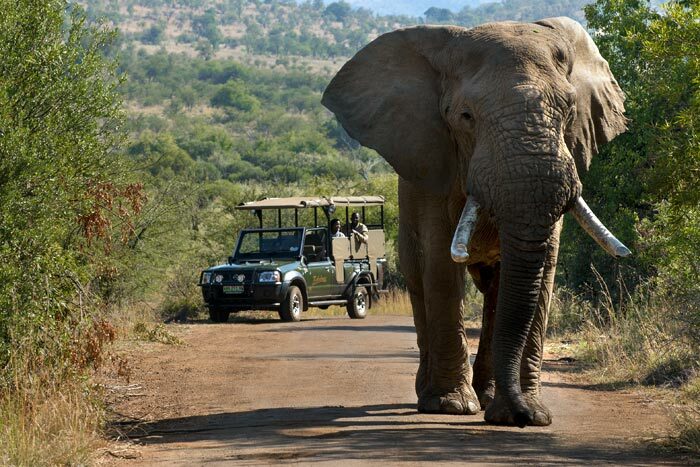 So even if you're not taking part in a game drive or game walk, ensure that you keep your keen eye out for some truly incredible experiences right outside on your doorstep. 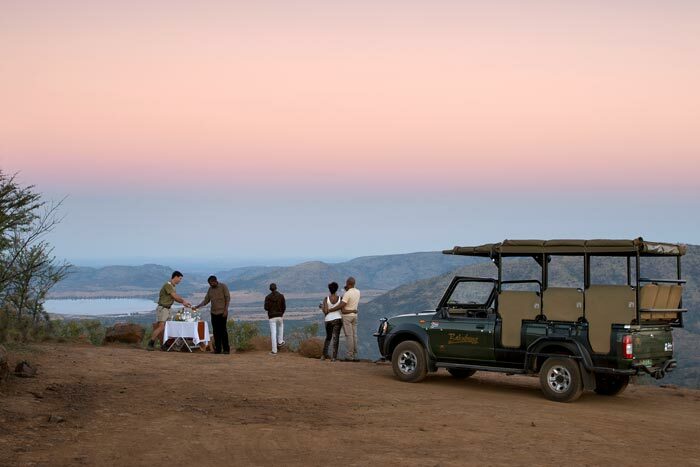 If you're looking for unprecedented views to share with your partner or loved ones, our specialized game rangers will take you to one of their many secret spots. 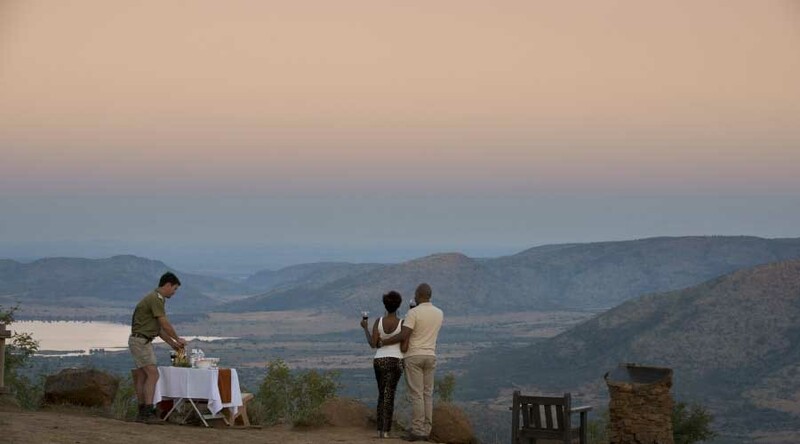 Sip on a glass of champagne while you soak in an African sunset. By prior arrangement only. 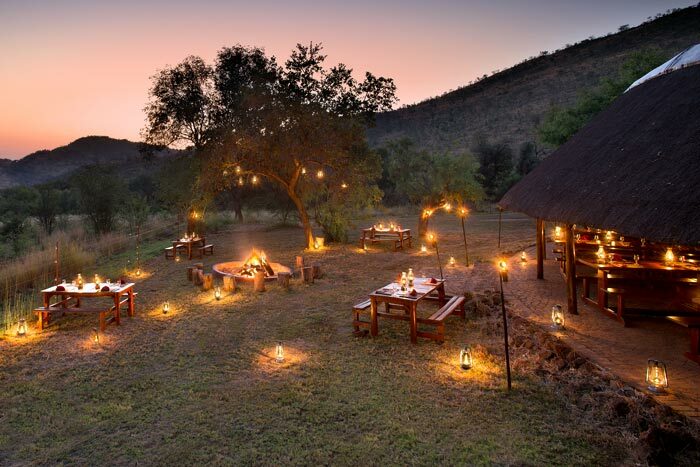 Another not-to-be-missed activity is the famous Bakubung bush boma dinner. 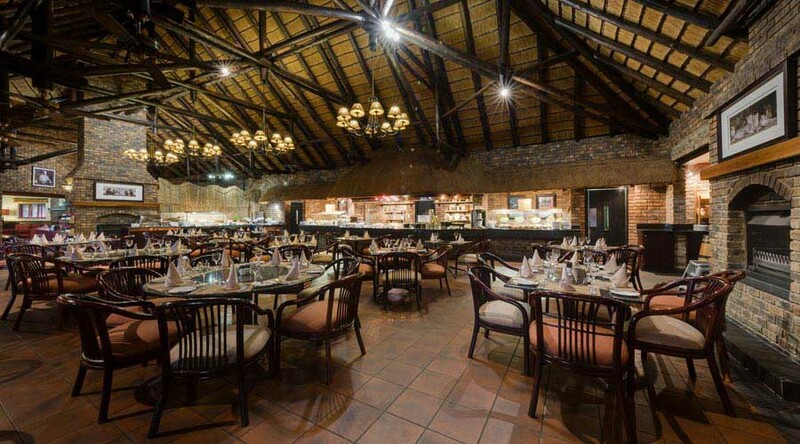 Sit under a canopy of a million stars, whilst you dine on our local South African dishes and watch live traditional entertainment. A truly once in a lifetime experience that will stay in the memory forever. Learn about our vibrant bird life, and age-old trees as one of our experienced field guides take you on an informative morning walk through the property. Limited to 10 guests per day. Bookings are essential. 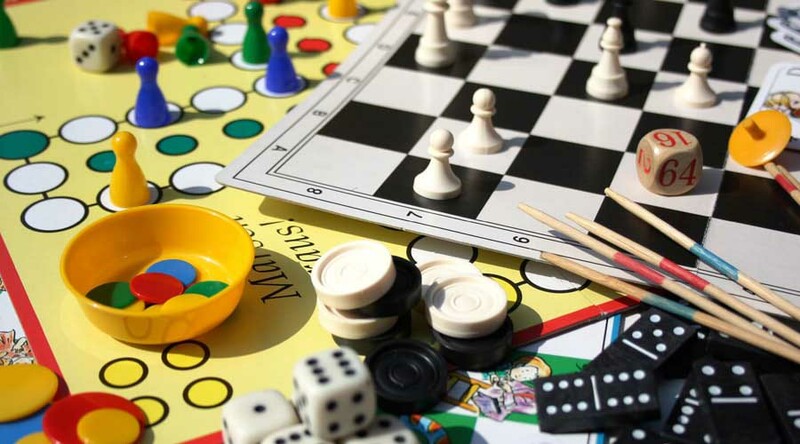 For active minds, we have a selection of board games available for hire. Enquire at reception for more information. 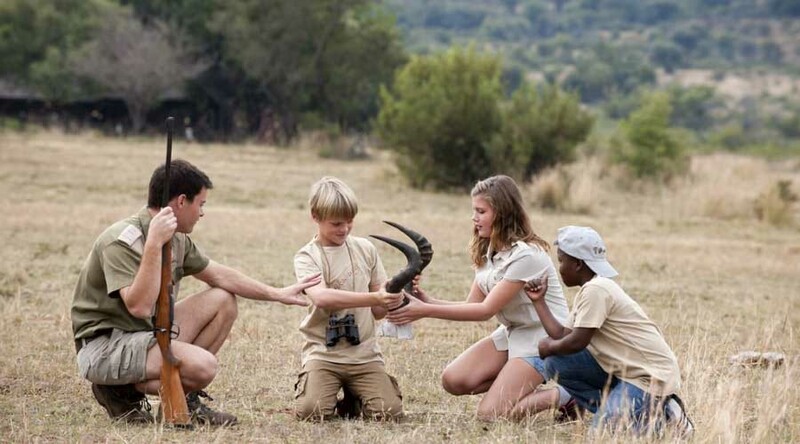 Our trained rangers host an incredibly educational kids program called Junior Rangers that teaches the youngsters about nature and conservation in a fun, hands-on environment. Not to mention it gives you some time to relax! 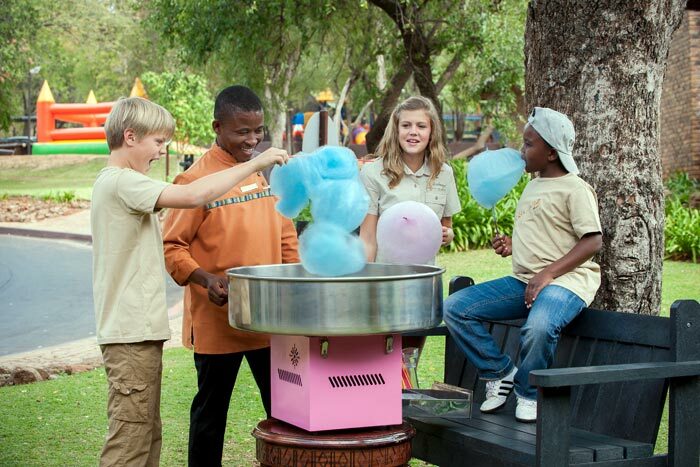 The Hippo holiday kiddies programme is available for children aged 4 to12 years old, and takes place Tuesdays to Sundays during the school holidays. Enquire with us for more information. 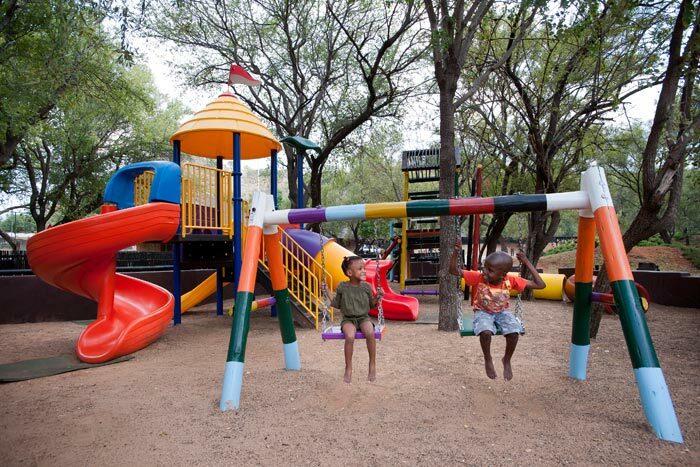 The kids are able to explore and play in our fully equipped playground with jungle gym, swings and slides. 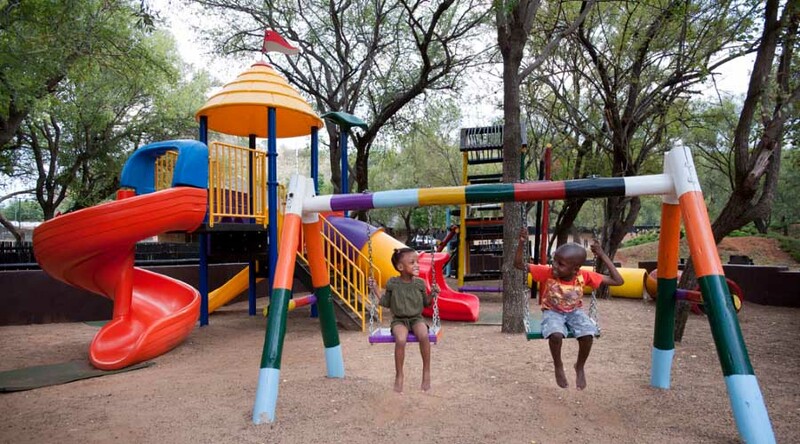 We also host many other kids activities to give you the break that you need and deserve. 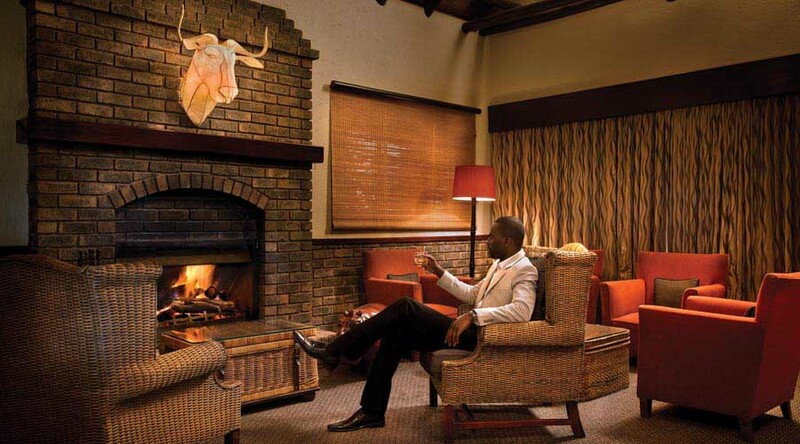 The true golfers will be well aware that bordering the Pilanesberg National Park is one of Africa's most iconic golf courses, the Gary Player Country Club. 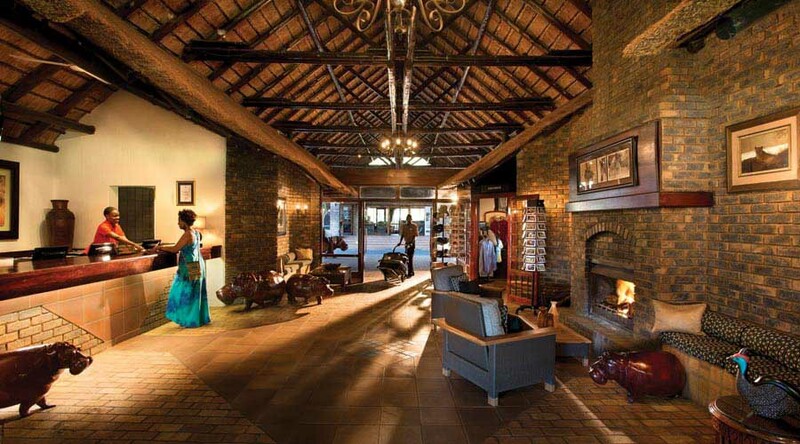 Whether you're confident enough to take on the home of the Nedbank Golf Challenge, or you're happy with a round at the scenic Lost City Golf Course, our guest relations manager will organise you a round. Equipment is available from reception. 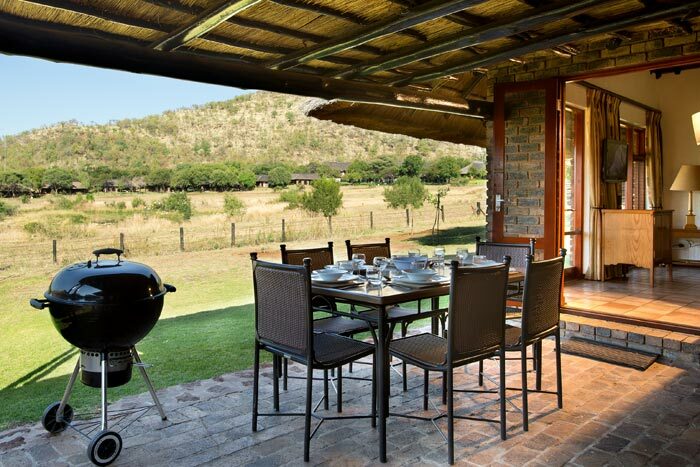 Bakubung Bush Lodge has some of the best accommodation in the Pilanesberg and offers an amazing family holiday experience. Please Note: This would be in the venue that you conference in if in conference. 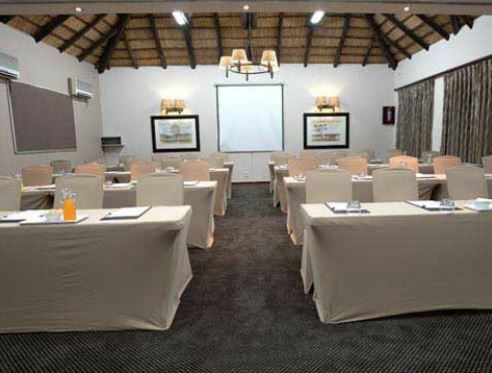 Please liase with reservations for further information and suggestions if you are planning a function for your group or conference. 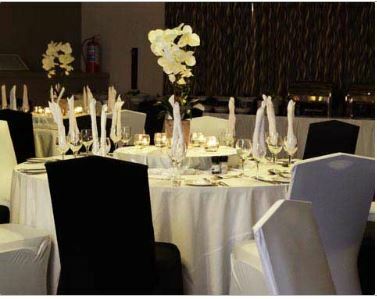 This is subject to venue availability, the number of guests the seating capacity & entertainment for the function. 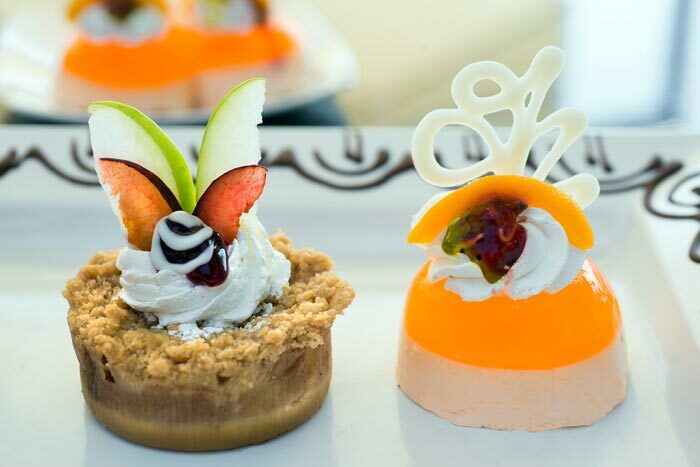 A large variety of menus are available for your selection. Prices are determined by the menu selection. We have Standard linen in stock for Décor. Should you require assistance in getting quotes for additional décor and entertainment please advise accordingly? • Sunday to Thursday is Chef ‘s choice buffet. • Fridays - Out of African – lamb on a spit. 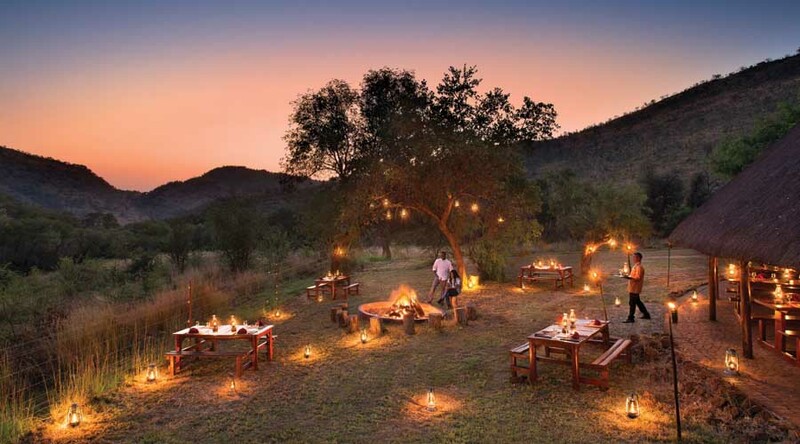 • Wednesday & Saturday nights an option is to book our bush braai at our boma in the park, or dinner in our main restaurant being our Chef’s carvery. 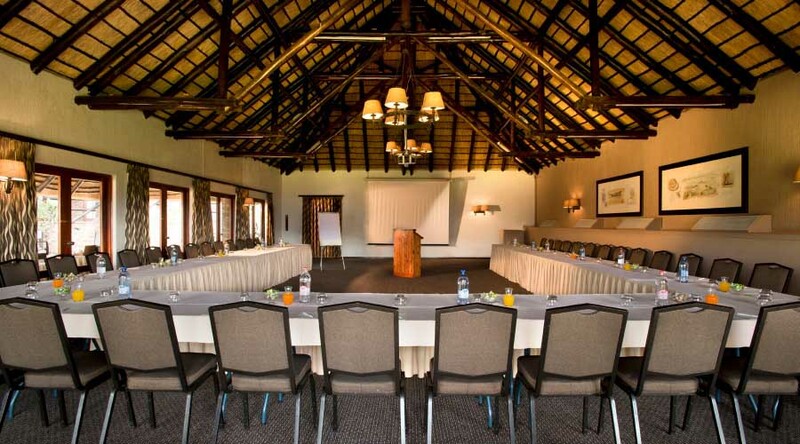 Sole Use of the boma for a group, as bookings can change at any stage. 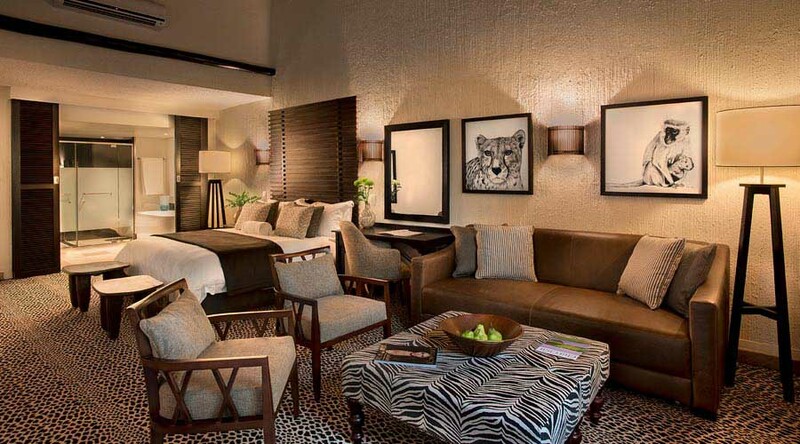 Should another group book and be at the boma on that night your costing will revert to the per person rate. 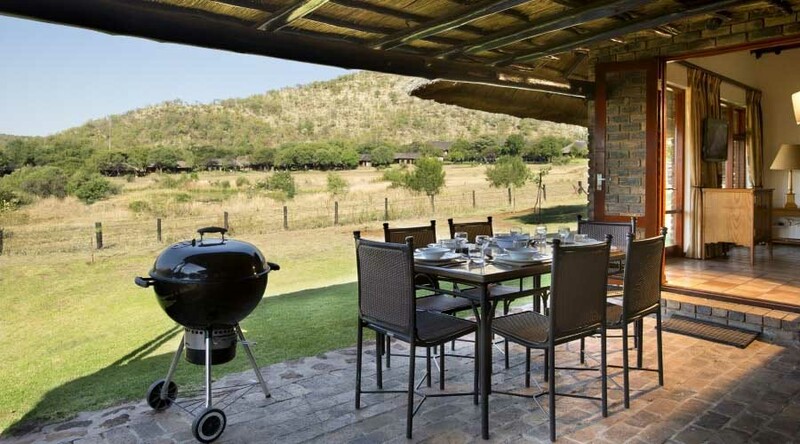 FOR A BUSH BRAAI ONLY ON OTHER NIGHTS for a group less than 30 a surcharge of R4000.00 is applicable. 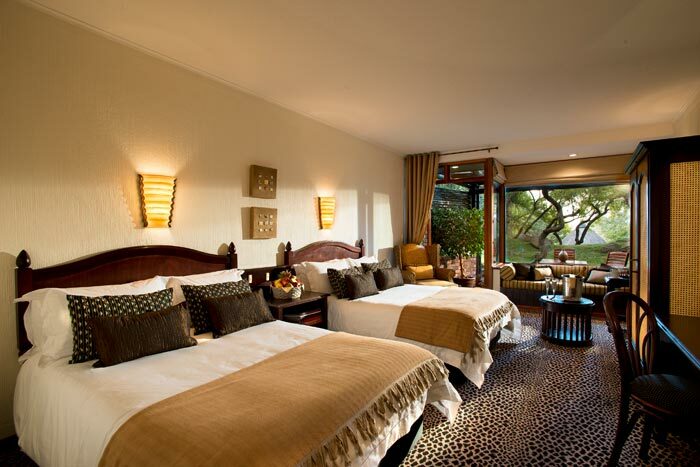 If no other groups are booked, and your group is alone at the boma. 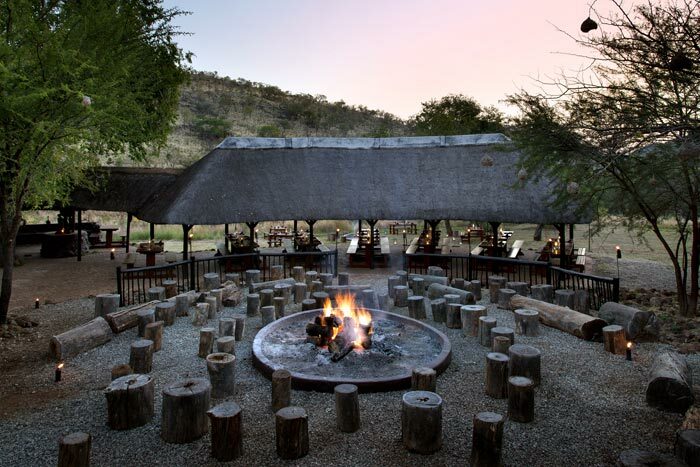 Please note this does not confirm Sole Use of the boma for a group, as bookings can change at any stage. 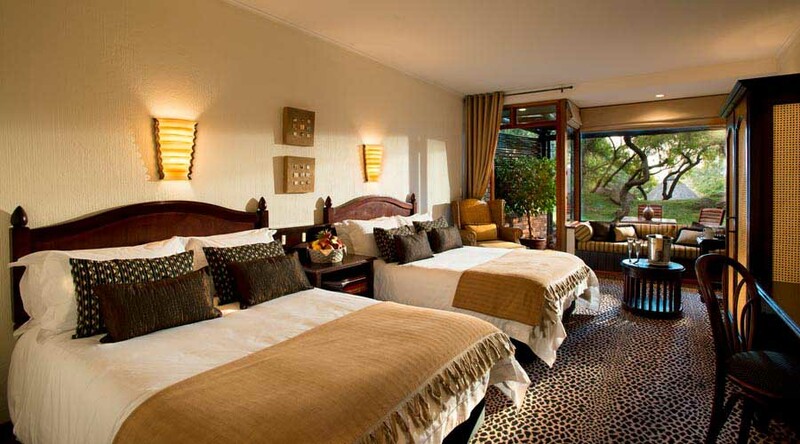 Should another group book and be at the boma on that night your costing will revert to the per person rate. 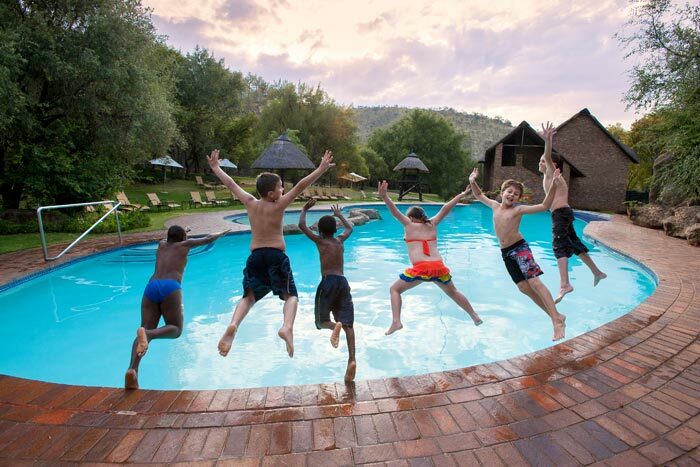 Golf, Squash & Aquatic Sports offered at Sun City. 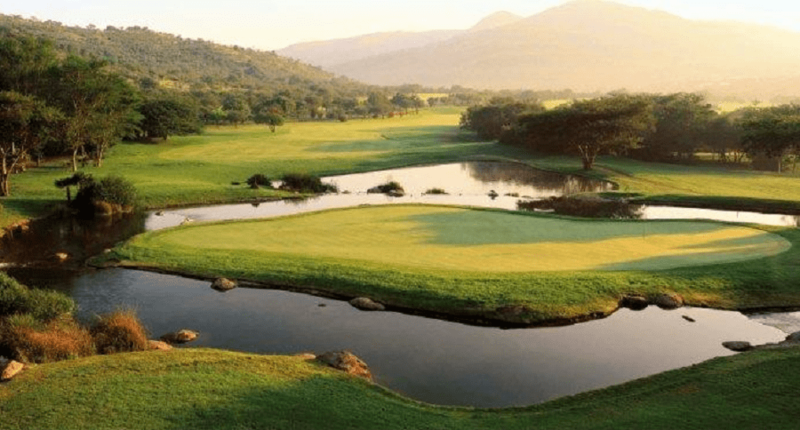 The Gary Player Golf Course designed by Gary Player, is an 18 hole par 72 walking course, with a 5km running trail along the course. Built in an extinct volcanic crater this fantastic golfing paradise conforms to the stringent US PGA specifications and is ranked as one of the top five golf courses in South Africa. 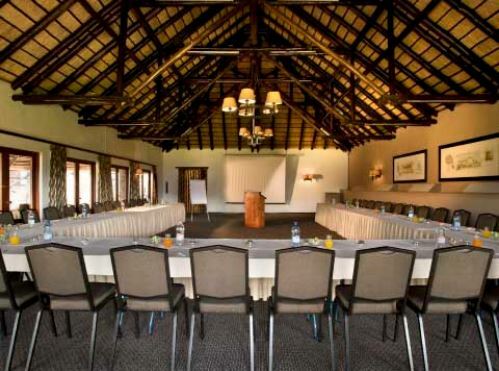 It is also home to the Nedbank Golf Challenge. The Valley of Waves is the central feature of the Lost City at Sun City. It is one of the most advanced water parks in the world, dominated by the Roaring Lagoon. When waves are not generated, a bobbing cycle is generated in a diamond pattern. All Resort residents enter the park free of charge by presenting their resident cards. Day visitors pay an entrance fee to the park. A hot air balloon flight is usually a once in a lifetime experience. 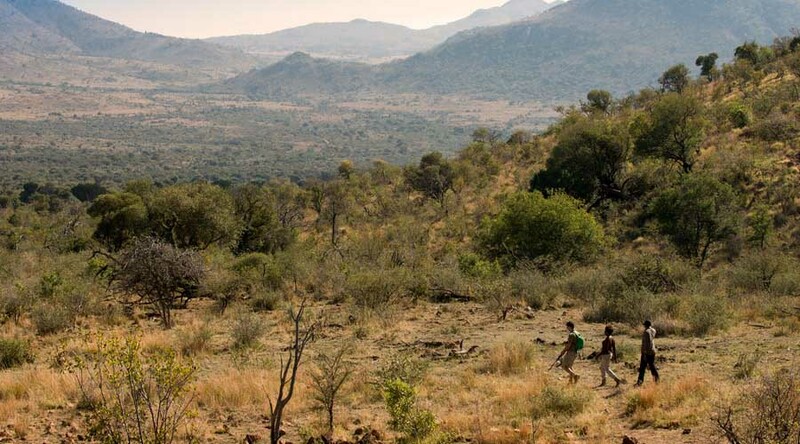 Flying over the Pilanesberg, you will see incredible wildlife while taking in the breath-taking scenery. Hot Air Ballooning captures a mystical freedom as the natural elements of wind, flame and hot air, carry the balloon on a unique journey through the skies. 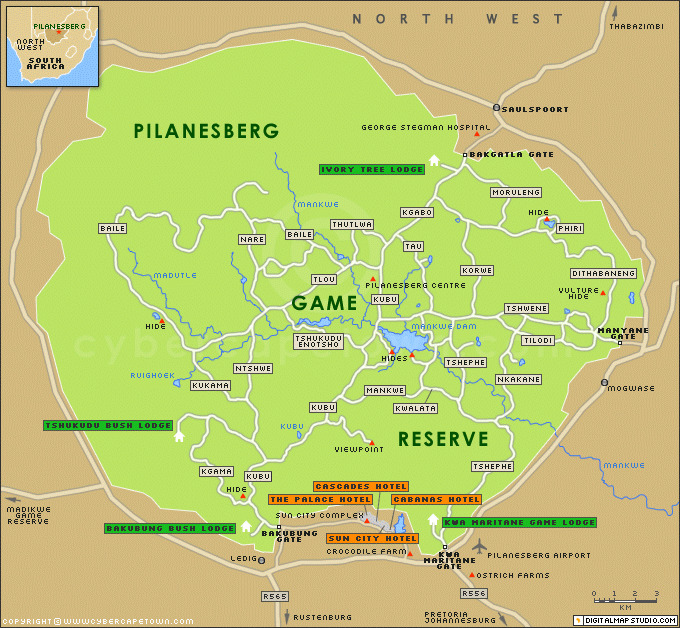 The Pilanesberg is located in North West Province and borders Sun City. 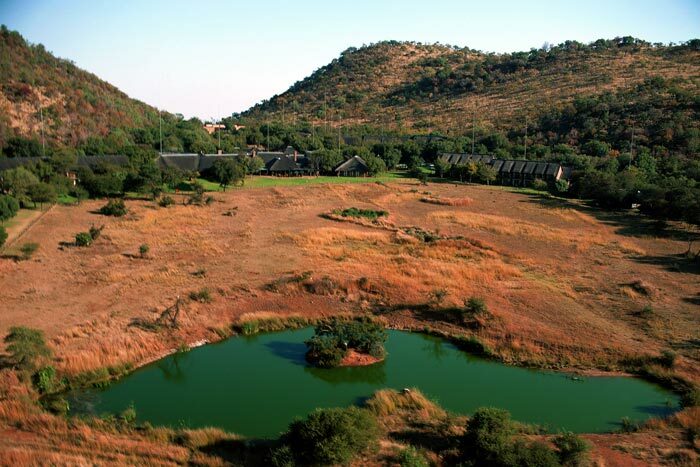 The 'Pilanesberg Alkaline Ring Complex' is the park's primary geological feature. This vast circular geological feature is ancient even by geological standards as it’s the crater of a long extinct volcano and the result of eruptions some 1,200 million years ago. It is one of the largest volcanic complexes of its type in the world. The swimming pool is located next to the cocktail bar, where guests can enjoy drinks or a delicious meal either in the shade of the bar or by the poolside for the sun lovers. 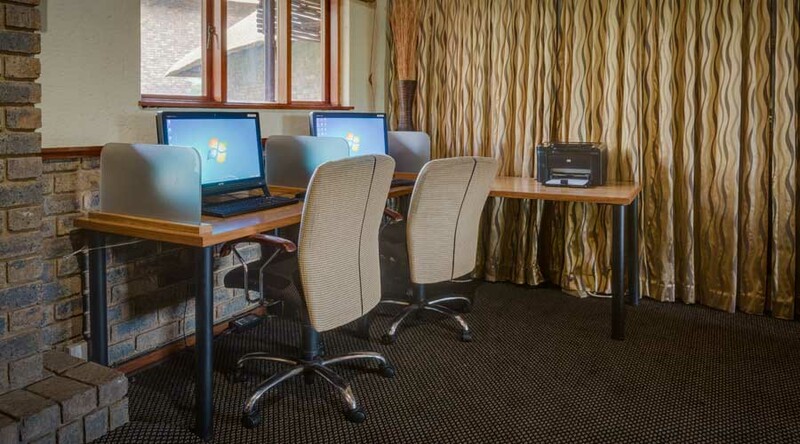 For our professionals, we have an internet lounge for convenience and comfort. Alternatively, enjoy this space with a book. 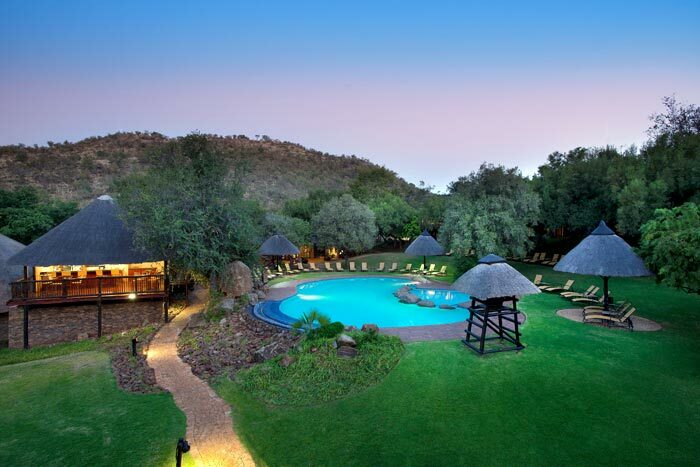 Relax and harmonise at the exclusive Bakubung Spa within the rich expanses of the Pilanesberg National Park. 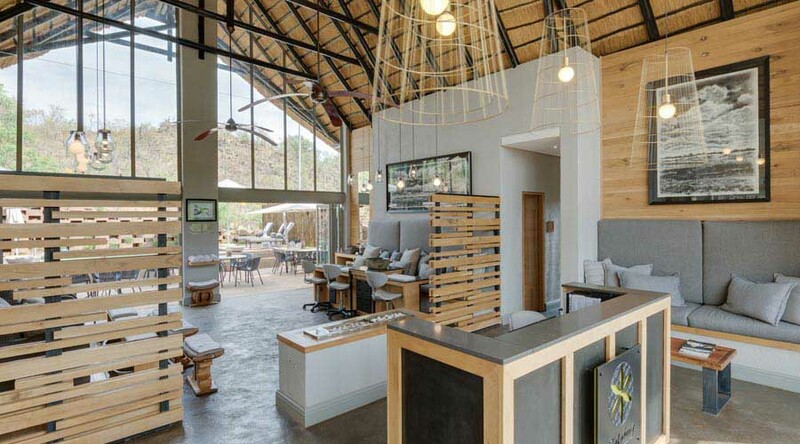 An extensive spa treatment menu is available, offering men and women a wonderful choice of treatments and massages to restore mind, body and soul. 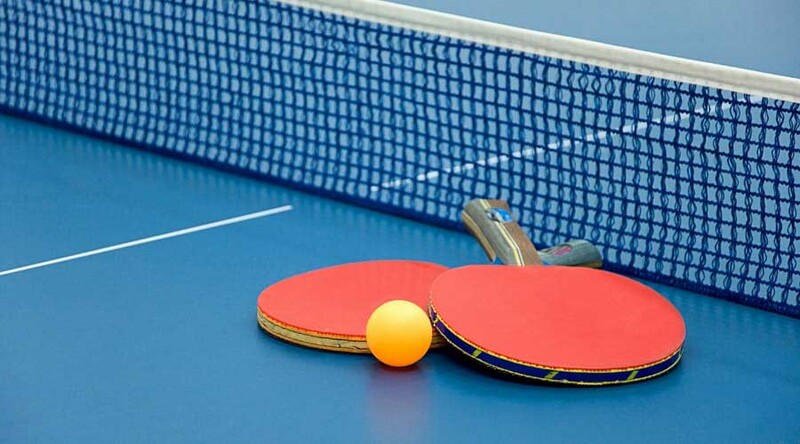 There are two floodlit tennis courts available for those guests who wish to be active during their stay. 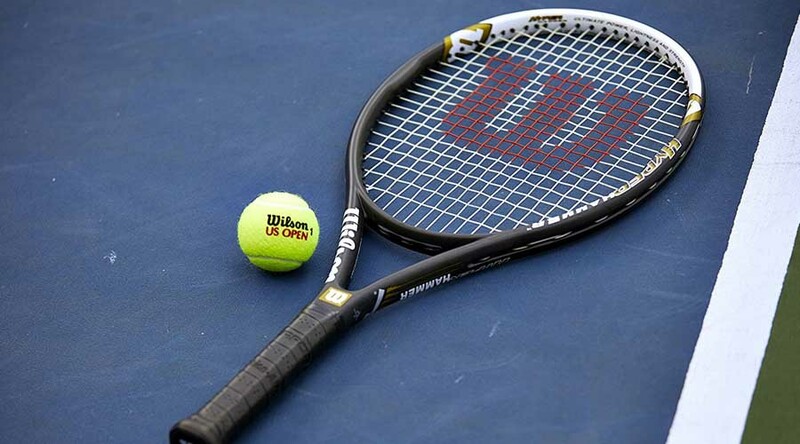 Tennis rackets and tennis balls are available from reception. 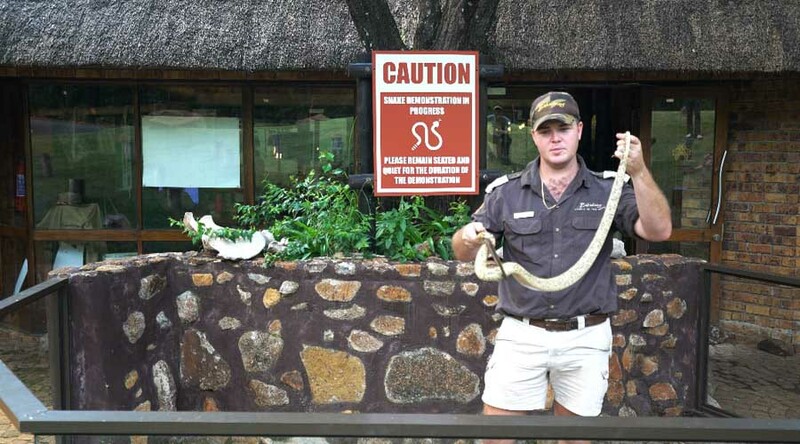 Visit our wildlife centre to see various snakes, and to learn more about our bush walks, game drives and animal sightings. 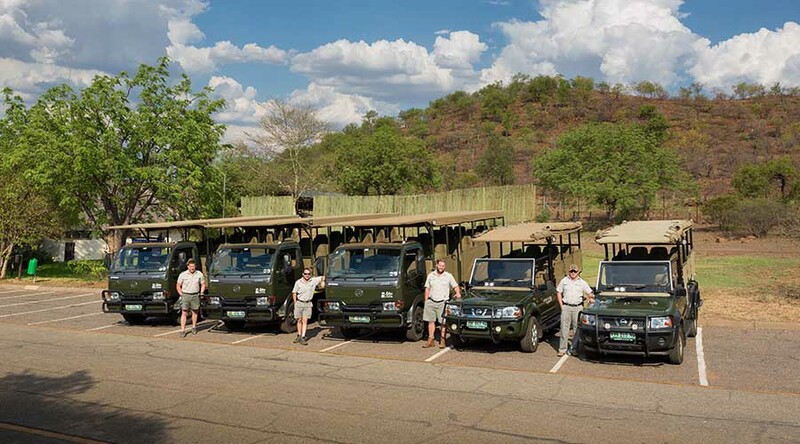 A scheduled shuttle is available at a nominal surcharge to all guests between the lodge and Sun City at regular intervals daily. 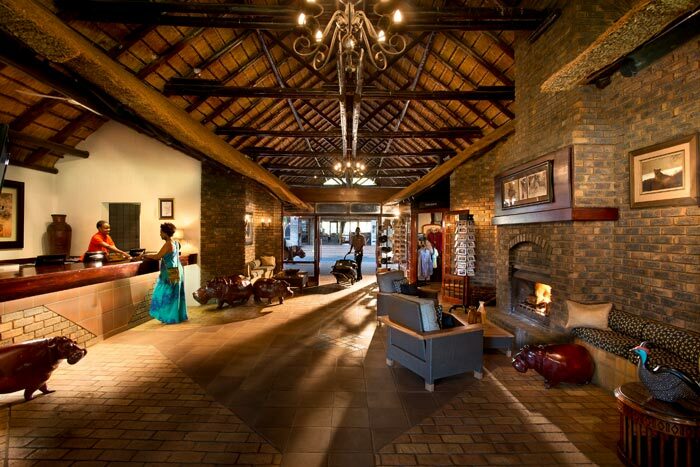 Transfers to/from the Pilanesberg airport may be arranged on request. There is nothing quite as restorative as being in nature, however sometimes through technology you just want to be able to share this experience. 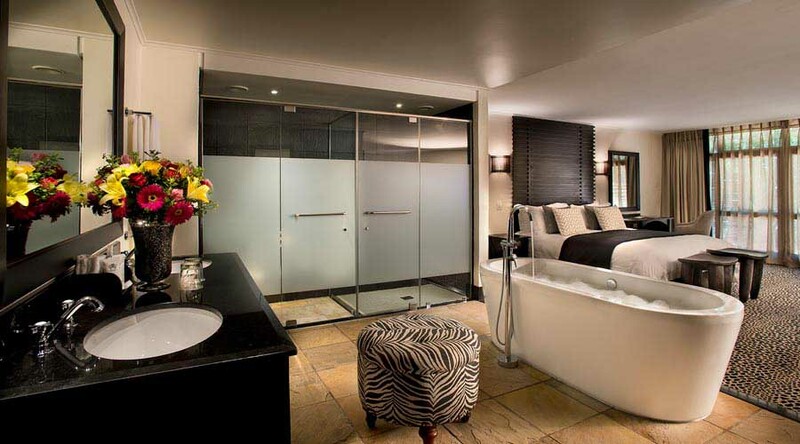 We provide guests with 500Mb of complimentary WiFi every day! At our famous traditional restaurant you will be spoilt for choice with traditional favourites, as well as some tempting authentic local fare. 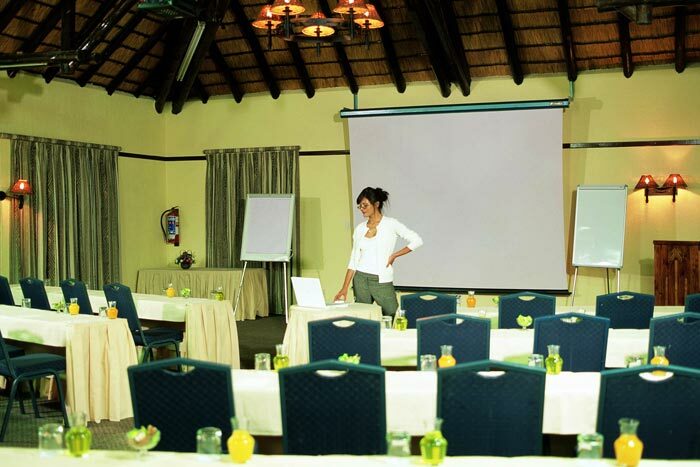 The menu is expansive, the buffet is tantalizing, and the restaurant caters to you for breakfast, lunch, and dinner. 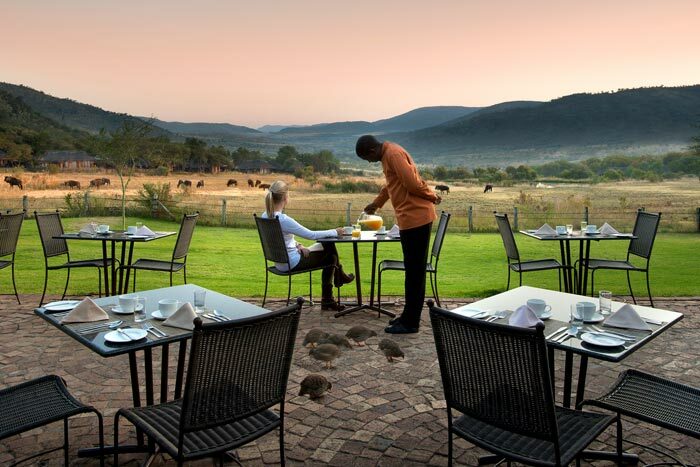 Relax and experience the sights and sounds of the magnificent Pilanesberg National Park, whilst indulging in a refreshing cocktail at the Bar. Ladies Cocktail Bar open 10h00 - 01h00 daily, offering a range of imported beers, spirits, wines and cigars. 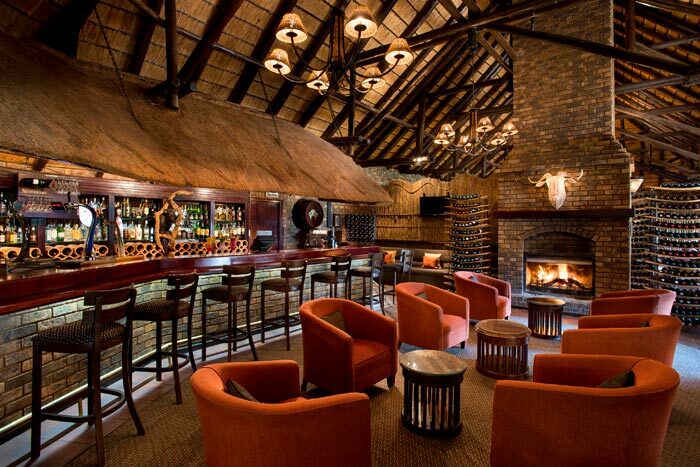 Our small boma may be booked for private events for 10 - 30 people. 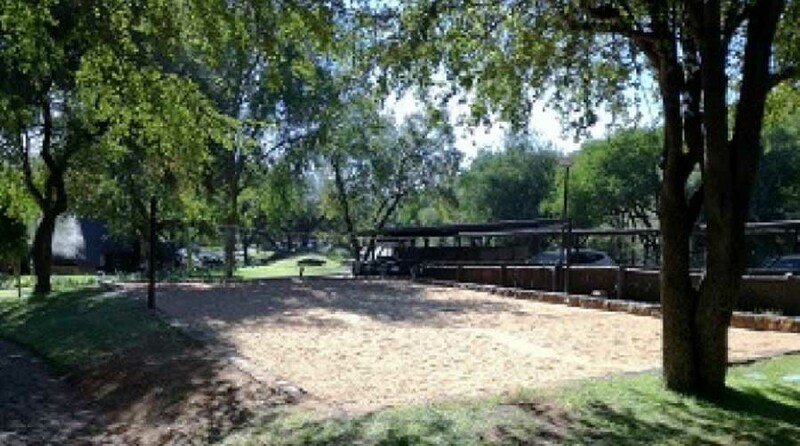 Up your game, and sharpen your skills at our volleyball court. 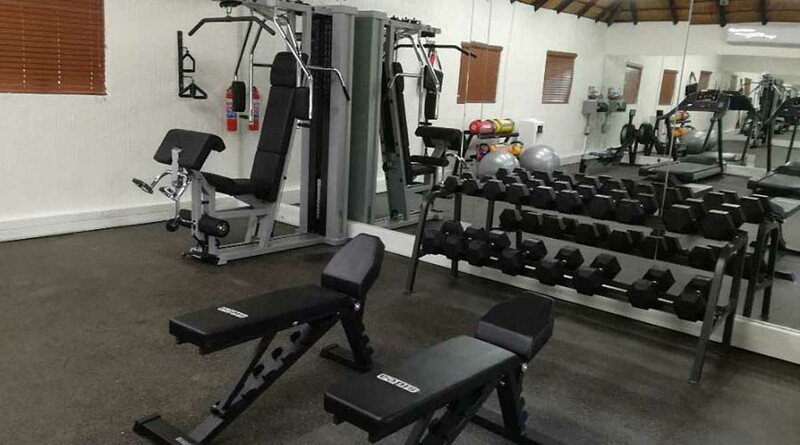 Equipment is available from reception. Adjacent to the tennis courts. Open from 05h00 to 20h00. 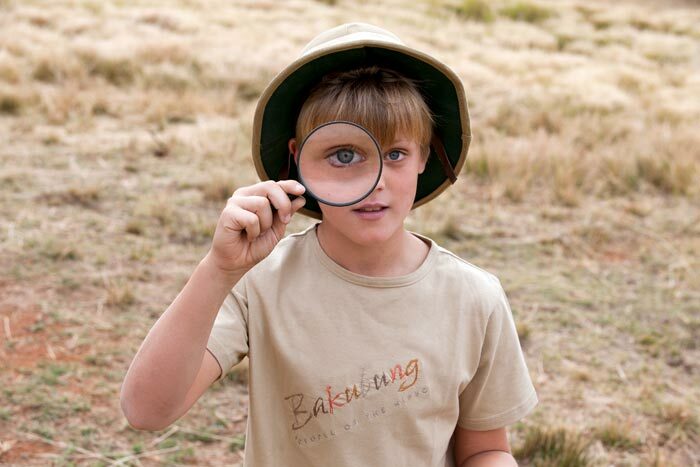 Bakubung Bush Lodge - Children can only be accommodated in a Standard room if sharing with one or two adults.